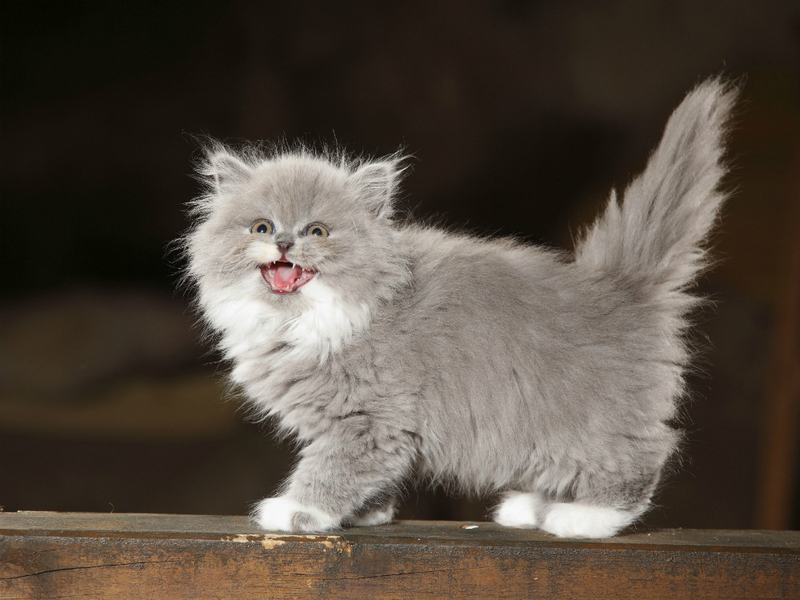 Why do cats actually meow? 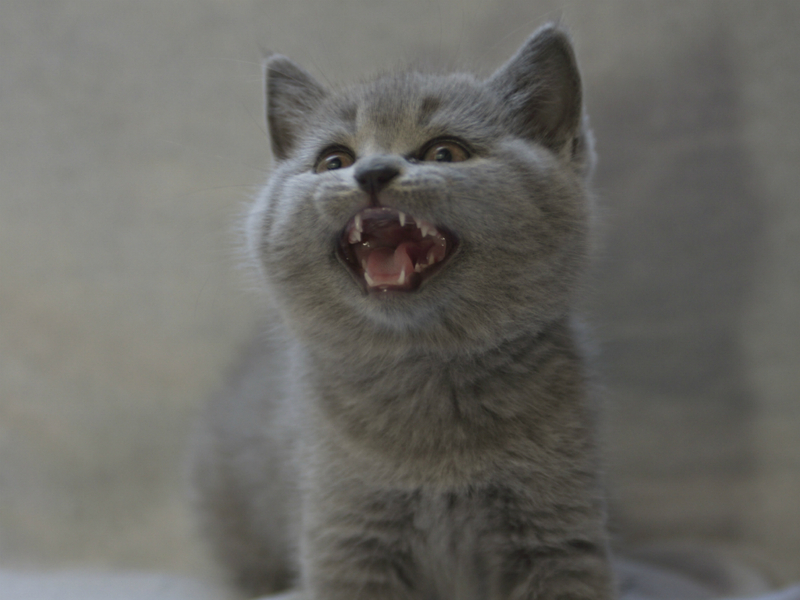 Cats are extremely vocal – but what are they actually trying to say? You don’t have to be an animal person to know that if a cat wants your attention they will definitely get it. Clawing, nose nudging and climbing up your leg are all ‘subtle’ ways that these innocent looking balls of fur will try to distract you on a daily basis, but their chief attention-seeking tactic is vocal – the meow. It turns out that the meow isn’t simply the call of a cat. In fact – if it wasn’t for us – adult cats would not meow at all. A cat’s sole reason for meowing is to mimic human speech, so when your cat calls at you, he or she is trying to communicate specifically with you. Is it just us or did cats suddenly become a lot cuter?! Other than baby kittens calling their mothers, cats rarely meow to each other, instead communicating through ‘cat language’: a mixture of body postures, scents and visual signs, including tail talk and ear signals. Apparently us humans are pretty blind to cat language though, often overlooking subtle tail wags and slightly arched spines for clues. Not to worry though! Cats have found a failsafe way of attracting our undivided attention: speech (which FYI they will only try in the middle of the night when you’re fast asleep) although their version of it comes in the form of hisses, growls, purrs and meows. Researcher Suzanne Schötz wants to dig a little deeper, recruiting volunteers in Sweden to work out what cats are saying and to see whether it can be determined by the noise that they make. ‘I found with my cats, they have a different sound to their music when they are sad, compared to when they are happy’, she explained. ‘Cats can change intonation or melody consciously, perhaps, to convey a certain message or to boost the urgency of the message, or to convey emotions’. Previous studies show that as a cat becomes more insistent about a request, their meows will lower in pitch and become more rasping (or if you’re the human on the receiving end: grating). Schötz hopes to build on this, researching whether it is possible to determine a cat’s request from its meow and examining cats’ reactions to their owners’ speech. So if your cat is being especially vocal this evening– she’s talking to you and she’s probably hungry… or scared, or feeling affectionate or wants to go outside… we couldn’t tell you until after Suzanne Schötz’s project. Good luck with that one, Suzanne!